Cory Johnson is looking to refresh some people’s memories. 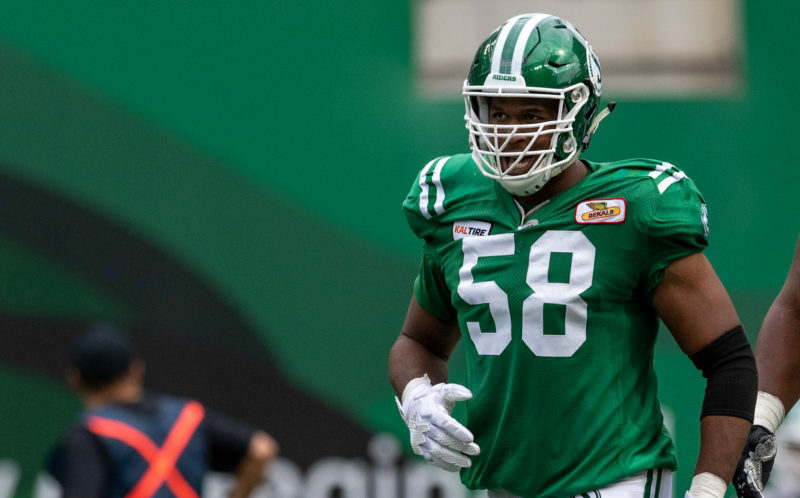 The newly signed Saskatchewan Roughriders defensive tackle has been working with the first-team defence during the CFL team’s practices this week, suggesting that he may be getting an opportunity to play in Sunday’s Western Semi-Final at Mosaic Stadium (3:30 p.m., CKRM, TSN). That contest is against the Winnipeg Blue Bombers, who just happen to be Johnson’s former team. He was added to Saskatchewan’s practice roster on Nov. 2, just a few days after he was released by Winnipeg. The 26-year-old product of Columbia, S.C., said Friday that he’s eager to face the Bombers — but he’s more eager to show that he can still play. 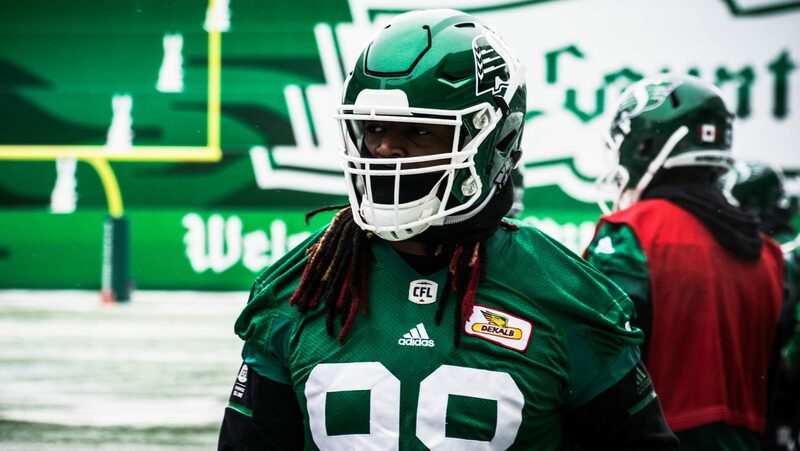 “I know I’ve got a lot more in me than people think,” Johnson said after a frigid practice at Mosaic Stadium. “I had a good season last year, but football is a forgetful sport and people forget. After NFL stops with the Atlanta Falcons and Kansas City Chiefs in 2016, Johnson signed with the Bombers in May of 2017. The 6-foot-2, 283-pounder played 16 games with Winnipeg last season, recording 20 tackles and five sacks. 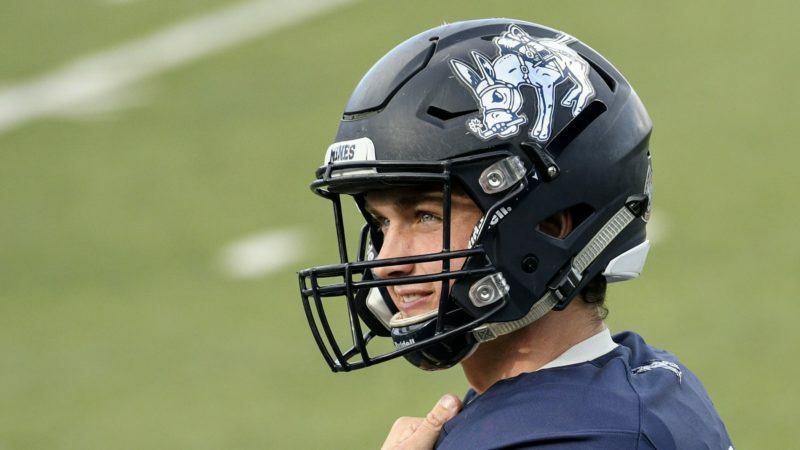 He appeared in the Bombers’ first nine games this season and registered eight tackles, but was scratched for their 10th game and placed on the injured list for their 11th contest. He t hen was placed on the practice roster, where he stayed for six weeks. 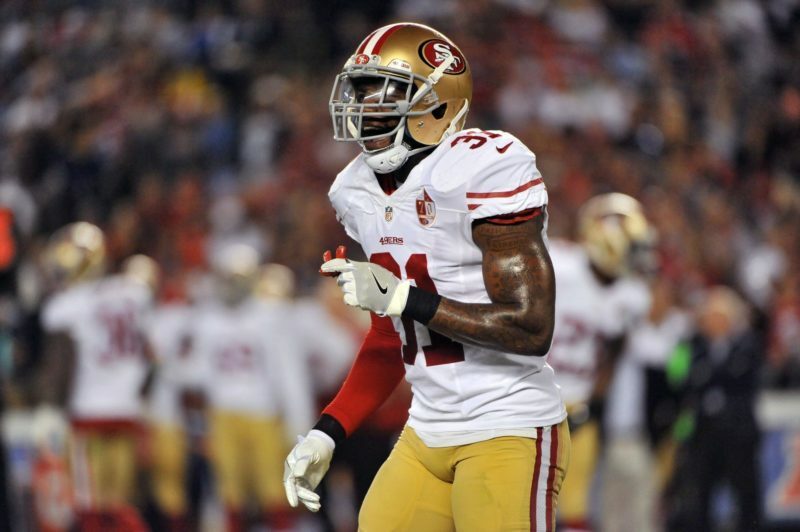 Johnson said Friday that he informed the Bombers in early October that he would be leaving at the end of the month if he wasn’t activated. His status didn’t change, so his address did. “When I woke up that morning, I was like, ‘I told them I was going to leave, but now I’m really doing it,’ ” Johnson said. “There was a feeling of uncertainty because you think that teams might look at you in a bad way. I didn’t know what would come next. 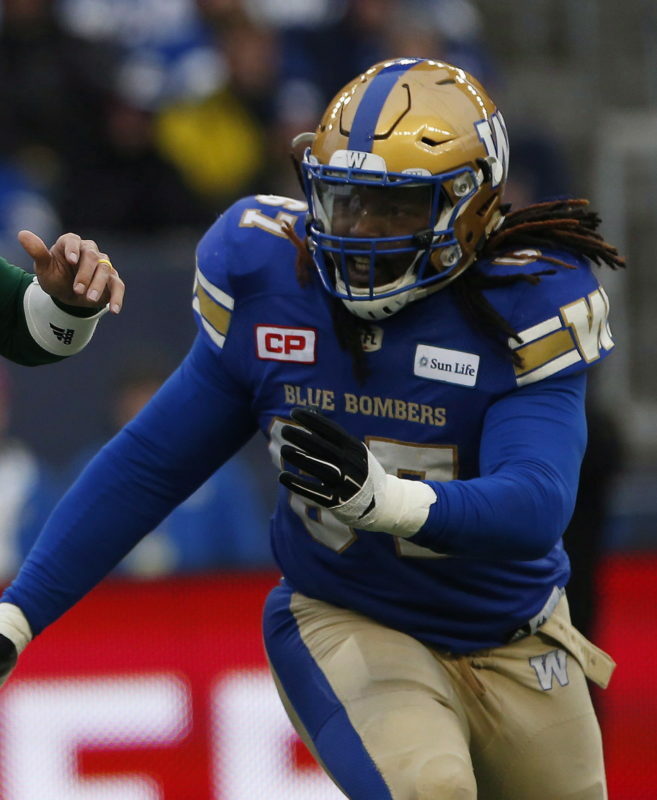 Johnson noted that he has tried to share some information about Winnipeg’s defence with Saskatchewan’s coaches, but he admitted he didn’t have much to offer “because I’ve been out for a while.” He also expects that the Bombers will have changed things, fully knowing that one of their former defenders is now with the Roughriders. While he may not have had much insight to share, Johnson will have some emotions with which to contend if he gets to face his former team. 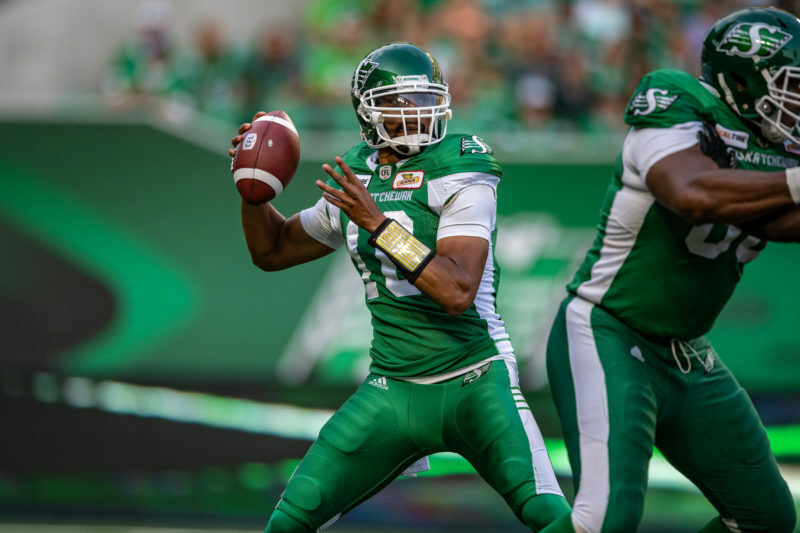 Quarterback Brandon Bridge took the majority of the snaps with Saskatchewan’s first-team offence Friday, but head coach-GM Chris Jones warned the media not to read too much into that. “W e’ve got both guys preparing to play,” Jones said, referring to Bridge and Zach Collaros. Collaros left the Roughriders’ final regular-season game — Oct. 27 against the B.C. Lions — early in the second quarter after taking a helmet-to-helmet hit from Odell Willis. Collaros practised Wednesday and took some reps Friday, but Bridge got more. The practice Friday was held in the chilliest temperatures of the season. When the players took the field, it was -16 C with a wind chill of -25 C — and the mercury didn’t rise much as the day went on. “You’ve got to learn ways to manoeuvre and how to dress and how to go through practice and be productive and still get out of your day what you need to get out of it,” said Cofield, a product of Tarboro, N.C.
Jones said Thursday that he’s tired of talking about the weather, but he admitted Friday that he’s interested in seeing how his players handle it. He certainly has seen it handled in different ways over his time in the league. “We never went outside with Don (Matthews). Never,” Jones said, referring to his stint as one of Matthews’ assistants with the Montreal Alouettes. “Let one little drop of water hit the ground, it was over: ‘We’re going inside.’ The least little bit of cold, we would never be outside. And we had pretty good success with the Alouettes back in the day. 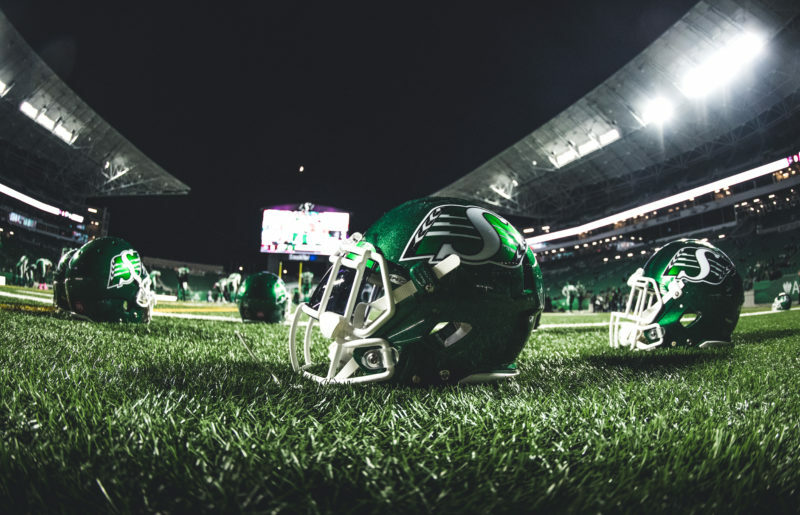 “When we were in Edmonton (in 2014 and ’15), we utilized the indoor (practice facility) a lot and we still won a lot of football games over there. In Calgary (from 2008 through ’11), we won a lot of games and we never went inside with (then-Stamps head coach John Hufnagel). We were outside all the time.